Do you know that there is a Rose Sunday in the Christian calendar? The fourth Sunday in Lent which is March 18 this year is Laetare Sunday or Rose Sunday. On this day, the Pope blesses an ornament called the Golden Rose. This ornament looks like a spray of roses and one of the roses has a receptacle for balsam and musk. The vestment for this day will be rose, a custom originating from the fact that rose is a symbol of joy and hope. The wearing of rose vestment is an ancient tradition which dates back before 1051 when Pope Leo IX spoke of it as an ancient institution at that time. Originally, the Pope blessed a real rose, then a single golden rose of fine workmanship until the fifteenth century when a bunch of roses in wrought gold was used. The golden rose represents Christ in the shining splendor of His majesty, the "flower sprung from the root of Jesse". The Pope blesses the rose every year. It is often presented to a church, a shrine, a city, a sovereign or a very important person. Once the rose is conferred, a new rose is commissioned for the succeeding year. Strange as it may seem, Pope Julius II and Leo X both sent the sacred rose to Henry VIII. In 1856, Isabella II of Spain received the “Rose;” and Charlotte, Empress of Mexico, and Eugénie, Empress of France, were also honoured by it. Pope Leo XIII around 1893, awarded Queen Marie Henriette , wife of King Leopold II the Golden Rose of Virtue, a goldsmith’s work of art given occasionally to a Catholic king or queen. The Rose is full of fascinating history and we have to continue to plant and preserve it. Roses are easy plants to grow contrary to popular belief. Why do you think Roses have been around for millions of years? All they need are food, water and sunlight. Just like you and me. Here at Rose Gardening World, we’ll educate you about the Rose - our National Floral Emblem and the state flower of several states. Welcome to the World of Rose Gardening or Rose Gardening World where Rose Gardening Tips, Rose Growing Advice, Planting a Rose Garden, Rose Descriptions, Where to Buy Roses, Where to see Rose Gardens, Rose Culture, Rose History, Rose Events, Rose Verses are all here in one place. We are constantly updating our contents so visit Rose Gardening World often. 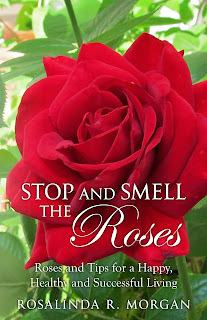 We want to help you grow Beautiful Roses and we welcome comments. Take time and smell the roses. Happy Rose Gardening! DAVID AUSTIN ROSES – LIST "T-V"